The Oral Instructions of Mahamudra, by Ven. 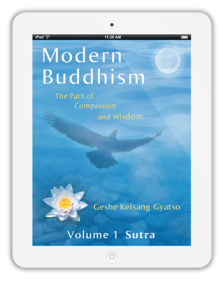 Geshe Kelsang Gyatso Rinpoche, the very essence of Buddha’s teachings of sutra and tantra. 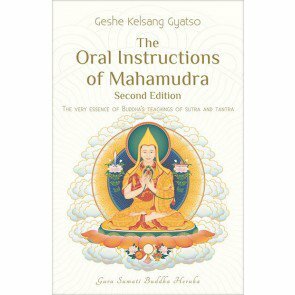 This book reveals the uncommon practice of Tantric Mahamudra of the Ganden Oral Lineage. It explains clearly and concisely the entire spiritual path from the initial preliminary practices to the final completion stages of Highest Yoga Tantra that enable us to attain full enlightenment in this life. Ask your Teacher for details. Foundation program meets weekly, allowing for deeper, more structured study, meditation and discussion. Experienced students are welcome to contact the FP coordinator for details. FP students are monthly sponsors and commit to attending class or making up missed classes online.